By Nita Sharma Das, PhD, ND. Aagenaes Syndrome is named after Oystein Aagenaes, the Norwegian pediatrician who for the first time described this syndrome in 1968. Worldwide only 100 patients are diagnosed till 2014. Aagenaes Syndrome is also known as Lymphoedema cholestasis syndrome 1, and the congenital lymphoid hypoplasia usually affects lymphatic vessels due to intra-hepatic cholestasis. Development of cholestasis is the pathophysiological condition associated with the impaired release of bile from the liver and its accumulation within the liver (intra-hepatic). Progression of cholestasis is one of the primary factors to determine the severity of Aagenaes Syndrome. Patients who can survive a prolonged period of cholestasis at their initial stage of the disease can exhibit stable liver disease with better prognosis. 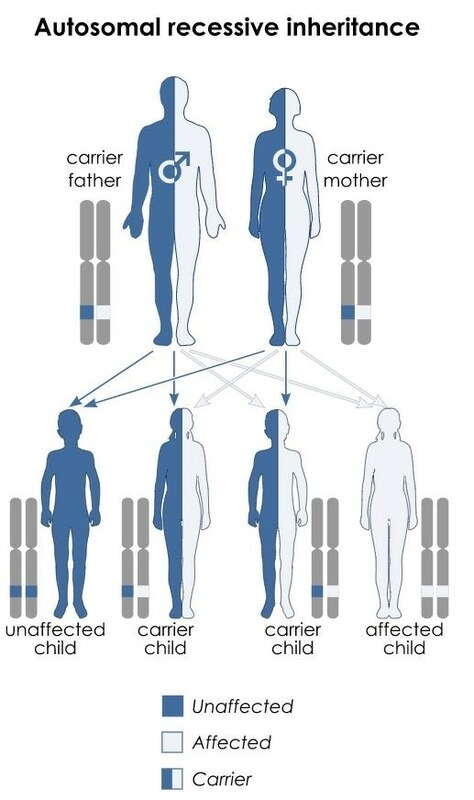 More than 50% of Aagenaes Syndrome affected individual leads normal lifespan. The symptoms are gradually progressive and can be classified into two stages of life; early stage and after adolescent age. Usually normal birth weight and appetite, but a large amount of fatty, pale colored stools and dark urineare observed. Within 2 to 4 weeks of birth, the symptoms of jaundice become prominent, which include yellowing of skin and eye, dark colored urine, extreme weakness, abdominal cramp, nausea, and vomiting. The affected infants develop itching which often continues as a skin problem. Cholestasis induced malabsorption of fats, causes unsatisfactory thrive and growth retardation. Deficiency of vitamin A, D, E and K (fat-soluble vitamins) is a common finding and when untreated, increases the risk of rickets, anemia, bleeding tendency and peripheral neuropathy. Hemorrhage can cause neonatal death. With increasing age, the progressive condition of the disease leads to lymphoedema on the lower limbs due to recurring cholestasis. Children between the ages of 6 - 7 years usually start to develop lymphoedema. Lymphoedema is the condition associated with lymphatics hypoplasia, which leads to chronic swelling of the legs. However, depending on the severity of the Aagenaes Syndrome, the lymphoedema can extend to arms and periorbital soft tissues present around the eyes, thorax, and gut wall. With increasing age, the chronic lymphoedema related symptoms start occurring gradually, such as aching of leg muscles, heaviness in the legs, movement difficulties, and tightening and hardening of skin tissues at the affected region. Skin itching starts and often persists as a problem since 6 months of age. Although, Aagenaes Syndrome affected individuals have normal mental and motor development, impaired learning ability can be observed due to itching or sleepiness. Six months to one-year school absenteeism during cholestatic periods may occur in some affected children. Cholestasis often causes enlargement of the liver. Cholestasis triggers hormonal changes during puberty. Increased risk of infection during cholestatic periods. An individual suffering from recurrent cholestasis often become distressed. Results in elevated blood lipid level (Hyperlipidemia). Some Aagenaes Syndrome affected adolescents may develop lymphoedema before puberty. Aagenaes Syndrome-affected women face several social implications due to lymphoedema and recurrent bacterial skin infections like erysipelas, which causes red patches on the skin. Severe lymphoedema in adults can become a reason for disability. Portal hypertension can cause oesophageal variceal bleeding due to enlargement of the vein in the oesophagus, fluid accumulation in the peritoneal cavity and over-activity of the spleen. Recurrent cholestasis may cause liver cirrhosis in adults. Aagenaes Syndrome in pregnant women increases the risk of premature delivery and stillbirth due to cholestasis.